HMS Victory - Model Ship Repair and Restoration. 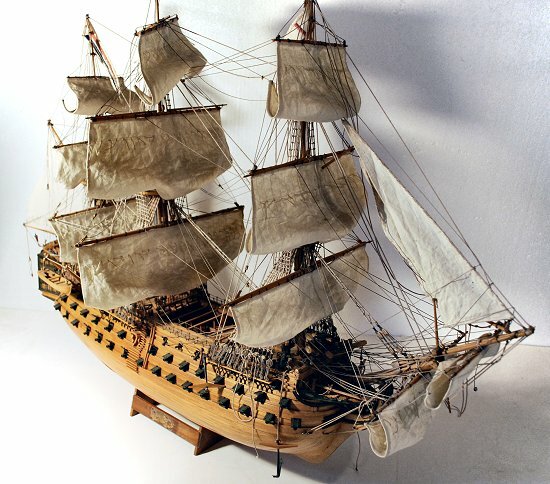 This HMS Victory model has her topgallant masts and bowsprit broken off, among some other damage. The client purchased the model as is. The rigging was a little oversized and due to exerting tremendous pressure, the topmasts and flying jib boom have all snapped off with further destructive results. Keep in mind that string is a lot stronger than wood at scale. The rigging of model ships is a fine balancing act. The masts will be shortened by a small amount to relieve the excessive pressure. Some other minor damage to the spars, hull and rigging will also have to be repaired. 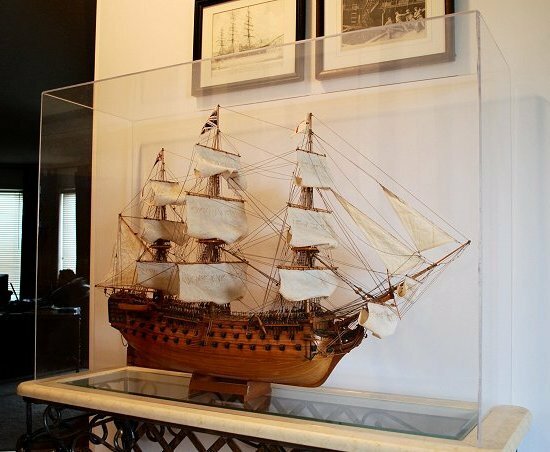 HMS Vicory model after restoration. Masts and bowsprit have been repaired and rigging has been modified where needed. During the restoration some damage to the deck and below deck became apparent and was also repaired. Even though the model had been meticulously built, the glue used in her construction left something to be desired. Parts came off simply by looking at the model. All have been properly reattached and reinforced to avoid the same from happening again in the future.